Recently I was asked how did I create the wire wrapped agate pendant necklace. So I decided to share it with you. I am indebted to the tutorial I got from the Gailavira tutorial in her etsy store. Well, the basic is there but just like all wire and stone have individual wishes what they want to be ultimately,this wire wrapped agate had it too. I did give in to that wish. So, instead of elaborating on the details especially on the bail, I kept it simple with just a wire wrapped loop. It was hard because the basket weave in her tutorial is darn pretty. And I had practised that. 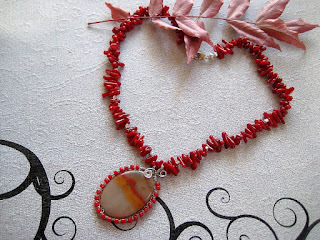 But I wanted to bring out the rust, crimson, orange, scarlet red in that piece. So many pretty shades of red! 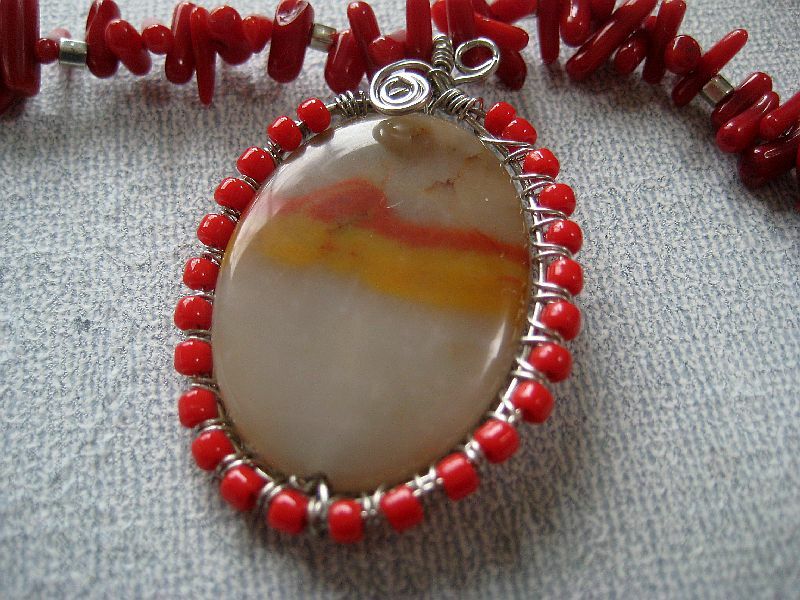 The shades in the agate gemstone resembled the setting sun's hue. 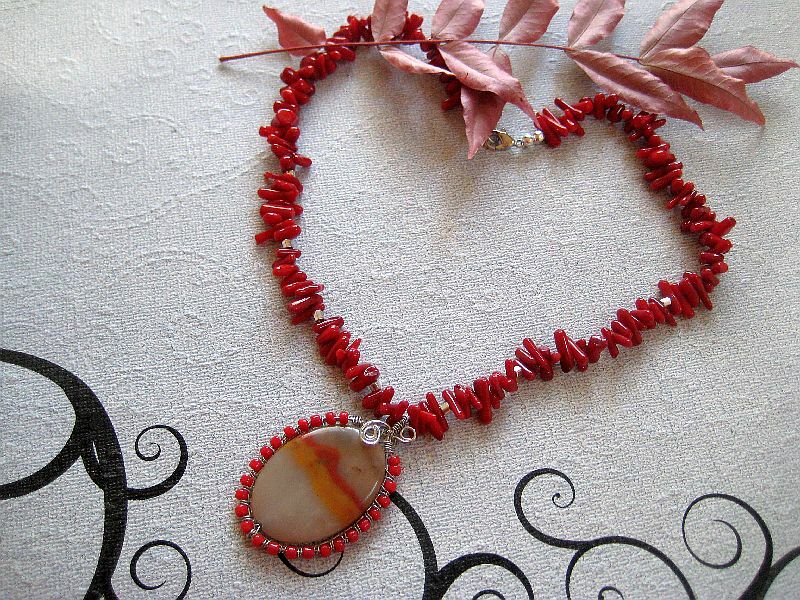 I did not want the wire wrap to over power that, just wanted to enhance that organic shades of red. Did I accomplish that? Only you can say. It is in the eye of the beholder. I made another wire wrapped agate pendant recently. It had the magic of the mid night milky way or the galaxy in the night sky. I named it SILENT NIGHT. Recently SILENT NIGHT got sold. 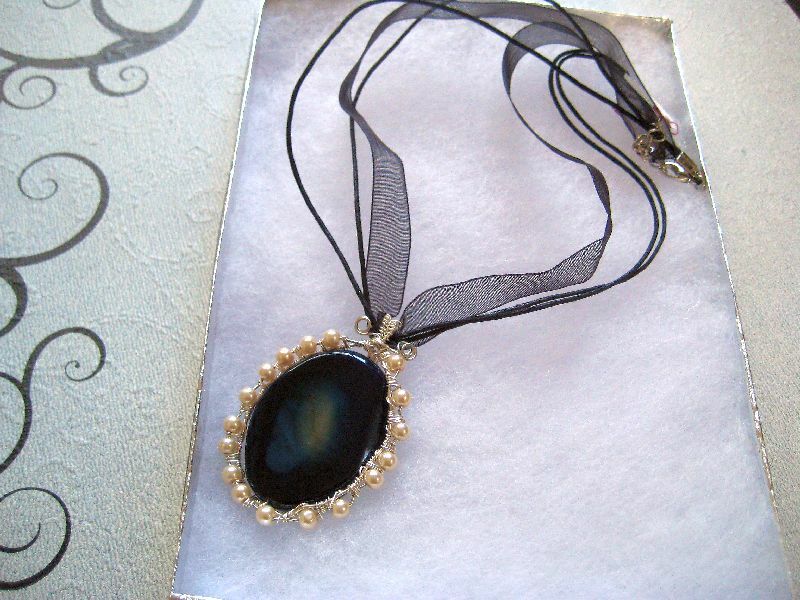 from my Etsy store. But SUNSET is just listed. You make very beautiful jewelry too. Enjoyed visiting your store/ blog but could not find where I could leave a comment. Hope to contact you again. I also added you in my Google circle. Thanks for stopping by. Come again. Thanks Dita.